As reported in Timmins Today, the Mattagami First Nation, a northern Ontario Indigenous community, is suing CN Rail for alleged environmental and cultural damage caused by two 2015 derailments that led to significant oil spills. The Mattagami First Nation alleges in its statement of claim that the spills near Gogama, Ont., damaged the local environment and surrounding waterways. The $30 million suit alleges that the damage, in turn, has created health risks for the population and crippled community members’ ability to observe their Indigenous traditions including fishing, hunting and gathering. It says the two oil spills, which took place in February and March 2015, collectively poured millions of litres of oil into the area around Gogama, which is about 200 kilometres north of Sudbury, Ont. CN declined to comment on the filing, adding it is committed to cleaning up environmental damage caused by the derailments. Mattagami’s allegations have not been proven in court. The First Nation claimed the 2015 spills impacted many facets of life for community members. “Mattagami First Nation members have suffered stress, distress, anxiety and worry as a result of the contamination of the land, waters, plants and animals on which they rely,” reads the First Nation’s statement of claim, which was filed in March but served to CN on Monday. The suit alleges negligence from CN and claims the rail company breached its standard of care when conducting operations ranging from track maintenance to staff training. 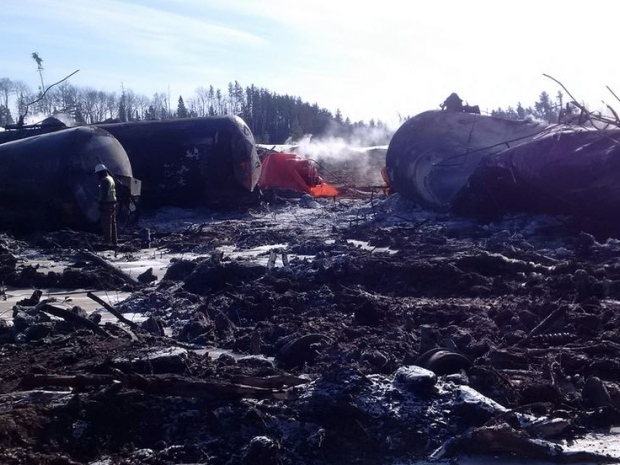 It also alleges CN has created a corporate culture that valued speed over safety.